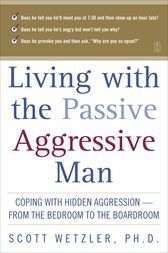 Alexandra Penney Author of How to Make Love to a Man Every woman should read this astute analysis of the passive-aggressive male. Scott Wetzler, Ph.D., is a clinical psychologist in private practice in New York and associate professor of psychiatry at Albert Einstein College of Medicine, Montefiore Medical Center. He lives in New York City.